Josh Cole Aicklen is a partner in the Las Vegas office of Lewis Brisbois and chair of the firm's national Hospitality Practice. He has over 25 years of experience litigating cases in Nevada and California State and Federal courts. Mr. Aicklen practices in the areas of hospitality litigation and works with local and national hospitality clients in all aspects of premises, food service, grocery and retail stores. He also prosecutes business litigation matters. 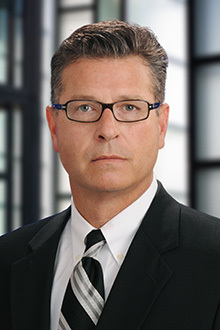 His other practice areas include general liability litigation defense in wrongful death, automobile, trucking and motorcycle cases; premises liability/negligent security claims against landowners; products liability; and the investigation and litigation of fraudulent claims. Mr. Aicklen also has extensive experience in the defense of professional liability claims against real estate professionals, psychologists, stock brokers and insurance agents and brokers. Mr. Aicklen was an adjunct Professor of Law at Whittier College School of Law, teaching courses on Legal Research, Writing and Civil Discovery. He teaches a workshop course to insurance industry professionals on how to detect and litigate fraudulent claims. Mr. Aicklen has also taught seminar courses on jury selection; jury trials in automobile accident cases; trying personal injury cases in Nevada; legal writing; defense of mold and mildew cases; civil procedure; trial skills and Nevada employment law. Mr. Aicklen has been named a top general liability litigation lawyer by Desert Companion Magazine and "Best of the Best" by Vegas Inc. Magazine. He is AV rated by Martindale Hubbell and he's been named as a "Top Lawyer" in Nevada by Vegas, Inc. Magazine.